It’s a frequent complaint among Disney Vacation Club owners and point renters. They see a Studio Villa available at Bay Lake Tower or Beach Club on Disney’s website, but are told nothing is available when trying to use points. How does this happen? Is Disney Vacation Club scamming its owners? Well, no. The simple answer is that there are separate inventories of Villa rooms available to reserve on DVC points and by guests paying cash. When all of the Villas available for points-based reservations are gone, no further reservations will be accepted. So how does Disney/DVC gain the right to set aside rooms for cash guests? That’s a bit of a complicated question with multiple answers. The first method – and easiest to explain – involves the unsold points which DVC itself owns. Take a resort like Disney’s Animal Kingdom Villas. That property has been for sale since 2008 and about 90% of its points are sold today. With the 10% of points which are unsold, Disney has the right to set aside roughly 10% of all Villas for cash bookings. This scenario is not exclusive to Animal Kingdom Villas. Disney Vacation Club often reacquires points at older properties, most commonly via foreclosure or Right of First Refusal on a resale transfer. Those reacquired points could also be converted to cash Villa rooms. A second source for cash rooms involves DVC Villas which are still unreserved 60 days prior to arrival. Rooms which are earmarked for stays on DVC points can be booked by cash guests if they have not been claimed by owners 60 days before arrival. Obviously this is not an issue at the smaller, more popular resorts since those rooms will all be booked long before the 60 day mark is ever reached. 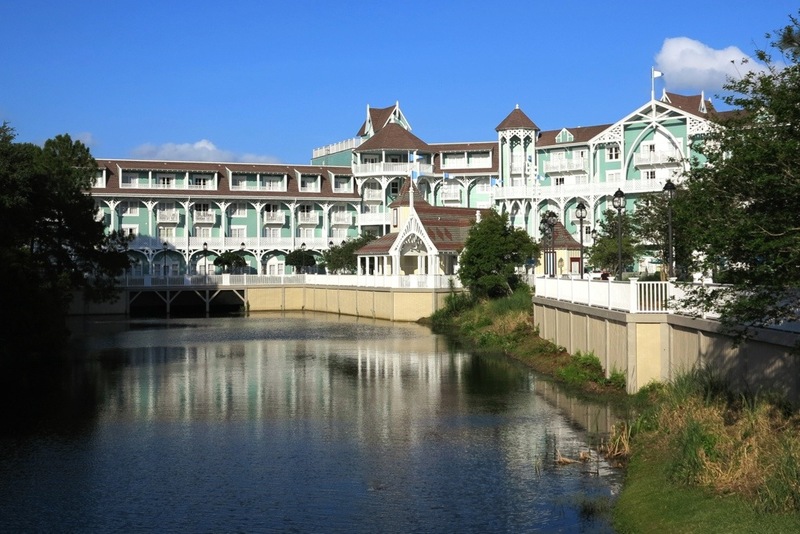 At larger resorts like Disney’s Saratoga Springs Resort & Spa and Disney’s Old Key West Resort, it’s possible for rooms to go unbooked and be made available to cash-paying guests. But the majority of the cash Villa availability comes courtesy of DVC’s exchange programs. One of the program features that many owners find appealing is the ability to use Disney Vacation Club points for Disney Cruise Line voyages or stays at non-DVC resorts like the Polynesian or Disneyland Hotel. Although these destinations all fall under the Disney umbrella – all are owned by The Walt Disney Company – each expects to be compensated for the services provided. Consider a member who books a Disney Cruise Line trip using points. The cost of the trip is either $3000 cash or 400 Disney Vacation Club points. The member opts to use his points. DVC takes the 400 points and Disney Cruise Line sets aside a cabin for the member. At that stage, DVC has 400 extra points and Disney Cruise Line has lost a cabin valued at about $3000. Disney Cruise Line has no use for 400 DVC points. So how is DCL compensated for the cruise ship cabin? It happens via the DVC Villas surrendered for cash reservations. With the member’s 400 points, DVC makes a handful of rooms available to Disney Central Reservations for cash bookings. Those 400 points’ worth of rooms are removed from the inventory available to DVC owners booking on points. Instead they are available to cash guests with the proceeds intended to at least cover the $3000 value of the Disney Cruise Line trip. 400 DVC points would yield a Bay Lake Tower Studio Villa for around 20 nights in May. At a rack rate of over $500 per night, Disney has the potential to recoup more than $10,000 to cover a $3000 cruise. In reality, many of those nights will not be reserved by cash paying guests. That’s the main reason a cruise costs so many points in the first place. After all, how many people will pay $500+ per night for a room that could be obtained via rental for less than half that price. It’s unfortunate that Disney does not have a methodology to return those unbooked rooms to the DVC program, but that would introduce further complications with regard to Disney ever being compensated for this non-DVC point usage. So, if you’re considering renting Disney Vacation Club points, remember that availability shown on the Disney booking site does not have any bearing on whether Villas will be available to rent. The only way to be certain is to have an owner or rental broker like David’s Disney Vacation Club Rentals check if Villas are available to book using points.